I saw Lemony Snicket's A Series of Unfortunate Events last night, and thought it was interesting. There were some funny lines and great sets, though. I'm sure the books are a whole lot better. Tonight I enjoyed watching The Green Mile for the second time. Saw it in the theater back in 1999, and it's still as powerful and good-feeling as I remembered it. This time, it was on the ABC network. Wow, this is the most unsettling thing ever. Had I not seen the picture, I wouldn't have believed it to have even existed. Princeton's new website is absolutely gorgeous. I've been reading The Moonstone for my Literary Criticism class, and I must say it's a pretty good read so far. Deep characters, a fascinating plot, and a twisty maze of perspectives keeps me highly interested. Speed 2: Cruise Control is an absolute stinker of a movie in every regard. While I've been faithfully watching Point Pleasant every week, I can't honestly say that I enjoy it, and I'm beginning to question what it is that makes me watch it. It's too much "The O.C." with too little "Rosemary's Baby", for me. There are some good backstory elements with the town's and Christina's past, but we the audience hasn't seen them developed yet. Vampire's Kiss is pretty stupid. That's all you need to know. An Indiana House Committee has not yet taken a vote on a measure to put Indiana on Daylight Saving Time, despite more than three hours of testimony Monday evening. 44 people signed up to testify in support of the measure and only seven testified against it. Business leaders from all over Indiana traveled to the Statehouse to make their support known. Most say a consistent time zone would make them more competitive. Chris Hardewitz with Fed Ex says his company loses about an hour of business to its competitors when Indiana does not switch its clock like the rest of the nation. He says that translates to at least $1 million a year in losses. Indiana Farm Bureau Spokesman Bob Kraft says his members oppose the bill. But, he says economic issues do not play a part in the opposition. Kraft says it is a purely emotional issue for his members. Theater Owners of Indiana Spokeswoman Ann Craft says moving to Eastern Daylight Time would hurt her industry. She says indoor theaters would realize a 10-20 percent loss in business and outdoor theaters would be forced to close because they would have to start their movies so late in the evening. Her organization would support changing clocks only if Indiana could move to Central Time. However, time zone designations are federal decisions. February 24 is the last day to adopt committee reports on House bills. However, there are reports that Governor Mitch Daniels� pet bill might get caught in a partisan logjam. 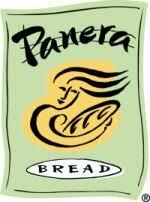 Panera just opened its restaurant here today. Slow-roasted all-natural sliced chicken and creamy smoked Gouda cheese, brightened with our pesto aioli, red onion, tangy tomato and crisp leaf lettuce, served on our artisan Sesame Semolina bread. Enough with the spam, I've disabled comments. It tries to load the following everytime I sign in to an SNS-protected site that uses Virtual Lock, an internal authentication API. It's pretty obvious that I don't have a folder called /sns which has a subfolder of /image on my localhost/loopback, accessible via port 5180 incoming. I wonder if this is some weird AOL Instant Messenger thing whereby it attempts, if AIM is running, to grab something from it. Israel, Palestinians to announce cease-fire. Underworld was just as I suspected: a flashy, violent, nonsense action movie about a war between vampires and werewolves. Bah. Kangaroo Jack was only slightly better than I had expected (I expected basically nothing, so in that respect it was "good"). The presence of Estella Warren helped a great deal, mind you. Occasionally when I'm bored (like right now), I'll watch real-time search queries on Excite.com. For me, he represents a near-perfect vision of what dance music should be: mysterious, soul-reaching, and above all groove-inducing. Grab Moshic's New Year's mix here. While I don't have a 'memorize-the-world' class such as I had last semester with Biology, I'm finding this semester to be very strange. Spanish is getting a lot tougher, what with all the conjugations of verbs, and the indirect and direct object pronouns, as well as a fair amount of solid memorization needed. English is tough as well; Literary Theory doesn't sound too tough, but reading the actual source material by the likes of Marx, Freud, etc. and trying to apply that to a random text is harder than it seems. The key is not too read too much into a given text; take it at face value unless you have reason not too, as my teacher so wisely states. Math is odd. It's mostly statistics, and we move slow, but it's not the traditional math I'm used to: here's a problem with all numbers, now go and solve it. Instead, it's: here's some data, find this, this, and this, then tell me what this all means. Ah, which leaves us with only History left. American History II, to be precise. America after the Civil War. It's a pretty interesting class, but I'm wondering what in the world I'll do for my project. We have to find an old object, and then compare it to something new. If I had some ancient National Geographics lying (laying?) around, this wouldn't be so tough. I could write about typographical changes, advertising differences, etc.